Book Your Complimentary Orthodontic Consult Now. It’s Easy! Just fill in the form below and submit it online. Our scheduling coordinator will contact you soon to confirm your appointment. No Referral Needed! Did you know that you can get a second opinion for your orthodontic treatment? Here are the five most important reasons to see Dr. Cziraki for a second opinion. When you get a second opinion, you might find that you’re offered a number of alternatives to the original treatment plan that was presented to you. For example, you might have wanted to try clear braces or Invisalign, but you were told they weren’t suitable based on the complexity of your case. 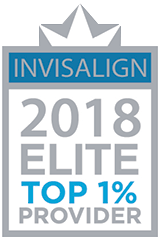 At My Family Orthodontist, Dr. Cziraki is proud to be one of the very few Elite Invisalign Providers in Canada and North America. That means she can offer Invisalign as a treatment to patients who suffer from mild and moderate misalignment issues but unlike many other orthodontists, we can also treat patients suffering from much more complex issues with these clear, plastic trays. 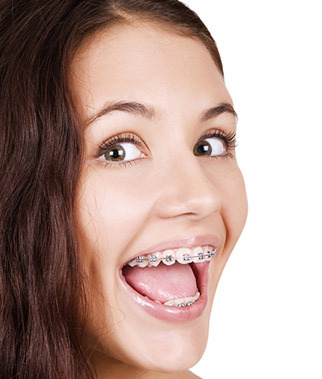 A second opinion before orthodontic treatment is particularly important if you were offered braces by a dentist. Dr. Cziraki is an orthodontist and a certified dental specialist. Orthodontists have three years more training in tooth and jaw alignment issues, and are specialized in treating orthodontic issues with braces. As a certified orthodontic specialist, Dr. Cziraki will be able to offer you a range of treatments that are not available to you from a general dentist. By choosing Dr. Cziraki you will have peace of mind that your smile is in the hands of a specialist. It’s important that when you begin working with an orthodontist and orthodontic team you feel comfortable. After all, you’ll be visiting them every few months! When you have a second opinion with Dr. Cziraki you will be welcomed into our new, gorgeous state of the art facility dedicated exclusively to orthodontic treatments. Creating beautiful smiles is all we do. Dr. Cziraki invites you to experience a truly specialized experience where your unique needs are her priority. Being comfortable and confident with your orthodontist and the practice you’ve chosen can influence your final results, as any anxiety or stress you feel can have an impact on your final outcomes. There’s no need to worry about the costs associated with having Dr. Cziraki look at your case, because your consultation and second opinion at My Family Orthodontist will always be free. Ready for your second opinion? Call us at 1-403-980-7676 or book your FREE consultation today! Please note this form is for requesting an appointment. If you need to cancel or reschedule an existing appointment, or if you require immediate attention, please contact our office directly by calling 403-980-7676.